Kiewra, Kenneth. 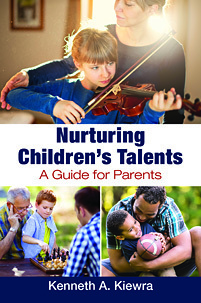 Nurturing Children's Talents: A Guide for Parents. Praeger, 2019. ABC-CLIO, publisher.abc-clio.com/9781440867934.